How to implement "Lean Thinking" in a Business: Sustaining New Year's Resolutions - Any different than sustaining Lean? Sustaining New Year's Resolutions - Any different than sustaining Lean? Happy 2016!! Last year seems like a blur, we worked with some of our regular clients and gained several more across various industry. It was a great year for LEArNing for all folks we were involved with. We enjoy turning on light bulbs and will continue to do the same in 2016. #movetheneedle day by day. So for my first blog post of 2016 let's talk about New Year's Resolution's. How many of you have one? There are always various motivating factors involved with selecting one or several perhaps. Let's take the gym as an example. I think fitness centers and gyms everywhere really look forward to the increase in January membership sales they attain through people wanting personal change. I saw this meme on social media and had to grin. Although a bit exaggerated there is some truth in it. I even witnessed a marketing tactic by Planet Fitness at the Time Square event in New York City this past new year's eve event. Great strategy to plant a seed in millions of minds! So when we develop a plan or strategy for ourselves at the beginning of the year, how do we sustain it? What mechanisms will we put in place to keep us accountable for our actions? What if our work-load increases, or some other "un-planned" distraction takes us away? Some statistics have shown that 62% of people tend to revert back to their comfort zones or previous ways after just 4 weeks of setting their goal. I've often wondered what creates the "hook" for the folks that can create a habit (or new lifestyle) and get over the hump of the "push versus pull". What I mean by that is often when we are creating a new habit it's a push. You may have to remind yourself to go to the gym or go even force yourself when you really don't want to. 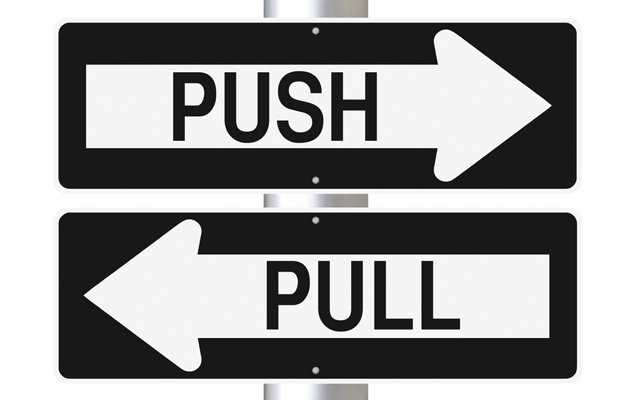 A "pull" is when you go because you want to, and you feel bad if you don't, not just mentally but physically. Really, it has become part of your lifestyle and not necessarily labeled anymore. So what is the magic behind the "push-pull" transformation? I think each persons reasons or decisions are different in motivation. For some it could be a health related issue the doctor has encouraged you to improve. It could be setting an example for your children-- there are many that motivate us. Most people have to see a "what's in it for me" to create the hook to sustain the activity to allow it to become part of a "lifestyle" not an "add-on". As we translate this to lean and our work life there are some parallels. So one of the first questions we ask is "why are you doing lean?" "What problem are you trying to solve?-- because lean is a countermeasure." We see organization's start out with great hopes perhaps after a conference, class or a new promotion. We want to make a change, or impact for ourselves and others, but we often forget the "what's in it for me/them" hook. Just as the gym example we have to know why and how this will begin to happen. If I'm a leader and I say - "Let's do lean, it's going to be great--here is what I need you to do", then I'm more or less "selling or telling", so would even say convincing. If I don't engage in why it is important and involve the team and getting their buy-in then the stake doesn't go very far in the ground. It's not deeply rooted and normally the "add-on" or "flavor of the month" will fade until the next "resolution" comes by and we give it a whirl but to no real outcome. 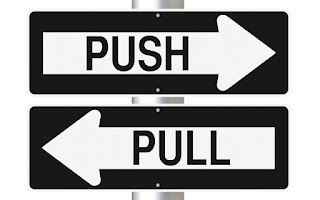 We find ourselves continuing to "push" because we never created the "pull" mechanism. I've often heard and even said that everything has a process. Some processes are more complex than others but there is always a tangible to visualize I believe even in material and information flow. If I look at process versus results then perhaps the process I used at the gym (cardio, weights, yoga, or cize) allows me to start seeing the results --which are the scales and the mirror. Most people focus too much on the scales and mirror and not enough on the process that makes that transformation. Similar to lean, the processes you use to engage people each day collectively create the results as an organization that translate to your mirror and scales from a business perspective. So for me lean thinking translates to so many things we all do in our personal lives. 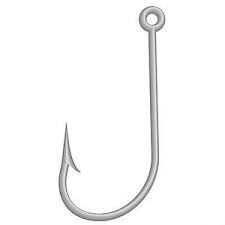 We just have to find "why" we want to do or change something in our lives and find the hook that keeps us there. 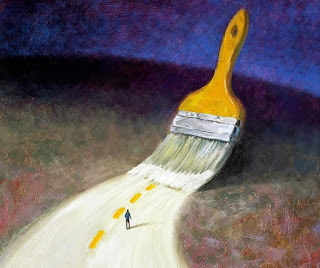 I think if we ask the right questions of ourselves we can find what is necessary to go from push to pull. 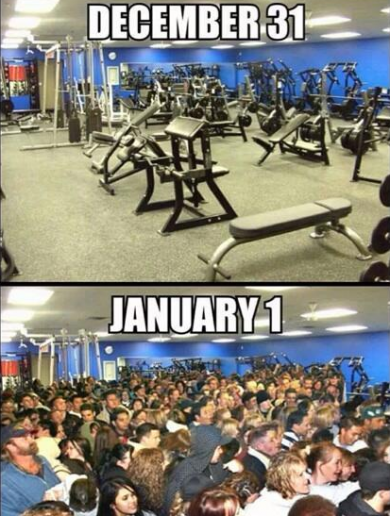 So those of you that created a resolution--where will you be 4 weeks from now? Create your own path through understanding why you need to be on it.